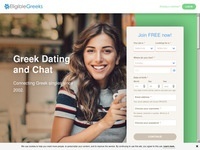 As part of one of the largest dating networks, Dating Greek Singles helps introduce singles in Greece. If you are looking for a quality dating site offering online personals, email & chat for Greek singles, this site is worth a look. Your compatible Greek singles community. Great site for meeting other like-minded Greek Singles. Create your free profile now. The sooner your profile is online, the sooner the person you are looking for can find you. Greece Passions is designed specifically for Greek singles, those attracted to Greeks, and anyone with a love of Greece. Aside from all the usual features specific to online dating and social networking sites, Greece Passions is 100% free and includes groups that are specific to Greece (ie. political groups, sports related groups, etc.). It only takes a moment to click through to check it out and see what you think! Looking for friends (or romance) Internationally? Check out International Cupid for a chance at meeting your special someone! Sign up and view member's profiles. Search for fun, interesting members all over the world, but also, if you would like, you can focus on members in Greece! If you are looking for other expats in Greece, this is the dating site for you! Find love among other international singles who have chosen Greece as the place they want to live. Now, aside from living in Athens or some other place within Greece...hopefully you can find love there too. Over 100,000 members from over 150 countries including Greece. Enjoy private chat with other members online. Entire site is available in French or English. "Free For Women". 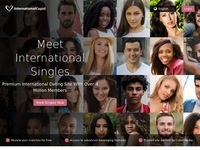 A free Greek singles site boasting over 3500 members. The name says it all. Check out one of the largest gay communities online. Search over one million profiles while enjoying private photo exchanges, adult photos, real-time messaging, a huge chat community, the latest GLBT entertainment and news stories, and more. 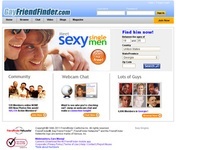 One of the largest Gay personals community with over 500,000 members. Outpersonals is designed for gay men, gay curious men, and bisexual men.